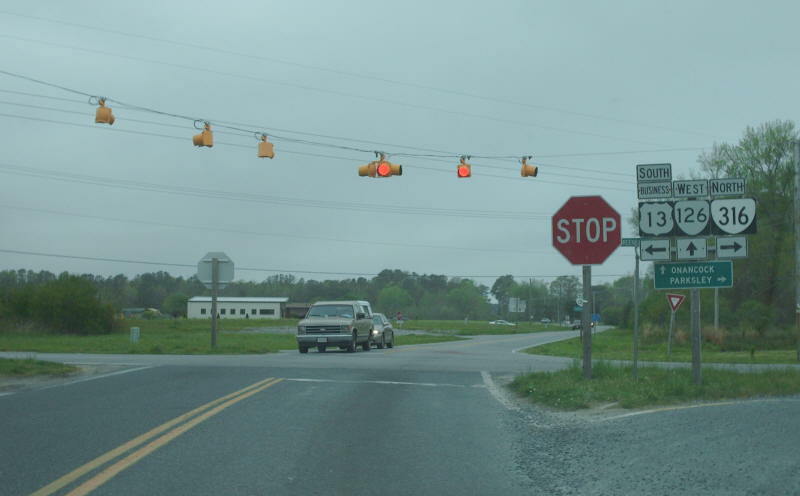 Advance signage approaching the intersection where both VA 126 and VA 316 end at BUS US 13. Photo by Adam Froehlig, taken April 13, 2003. 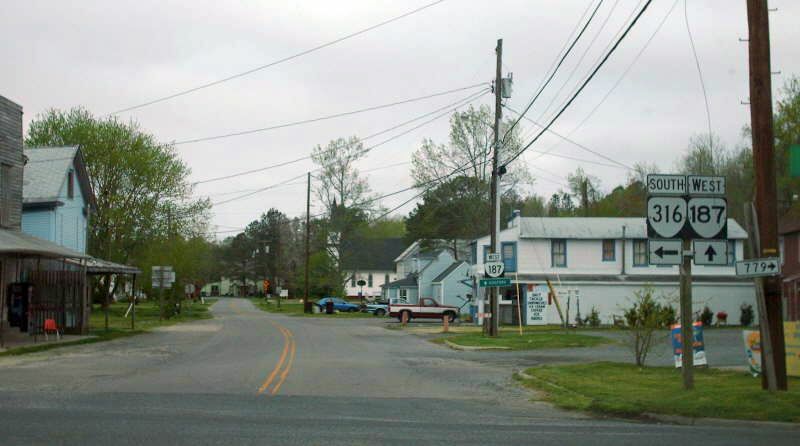 At the intersection itself, where BUS US 13 from the south leads into VA 316. Photo by Adam Froehlig, taken April 13, 2003. 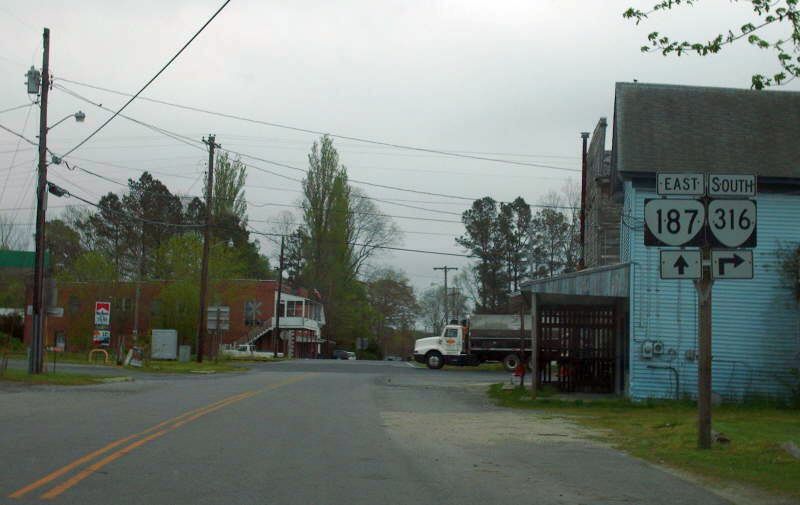 Approaching US 13 BUs/VA 126 from the sublime original concrete of VA 316 south. Photo by Mapmikey, taken April 26, 2007. At the intersection from BUS US 13 southbound. Photo by Mapmikey, taken April 26, 2007. 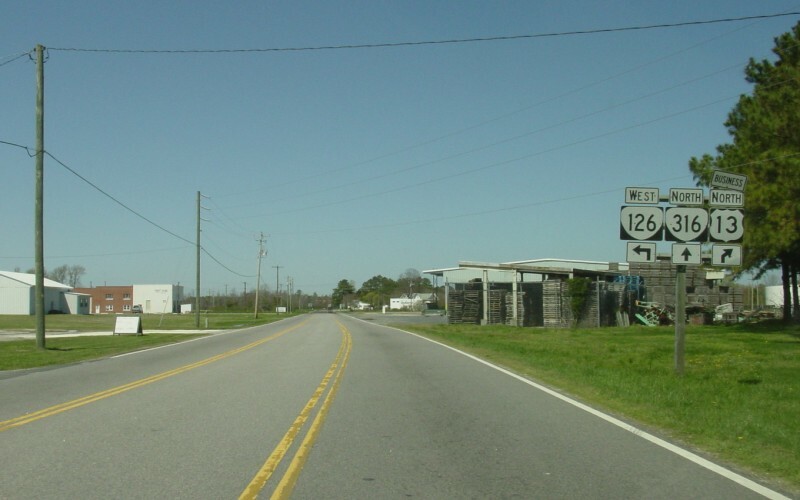 Approaching US 13 Business and VA 316 from an ending VA 126. Photo by Mapmikey, taken April 26, 2007. 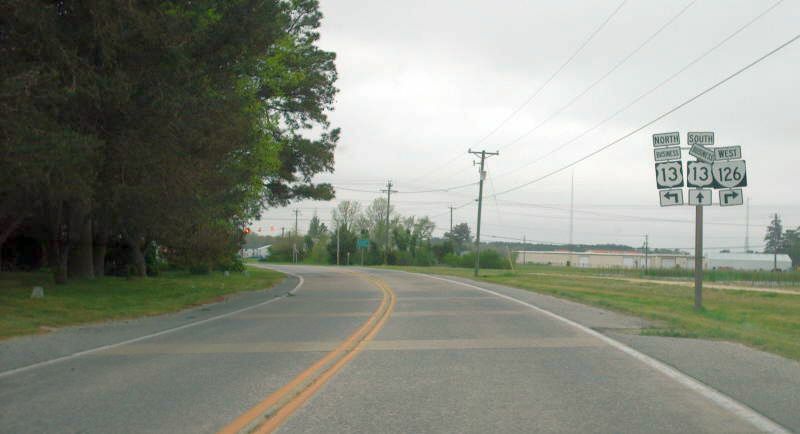 Approaching VA 316 along VA 187 westbound. Photo by Mapmikey, taken April 26, 2007. 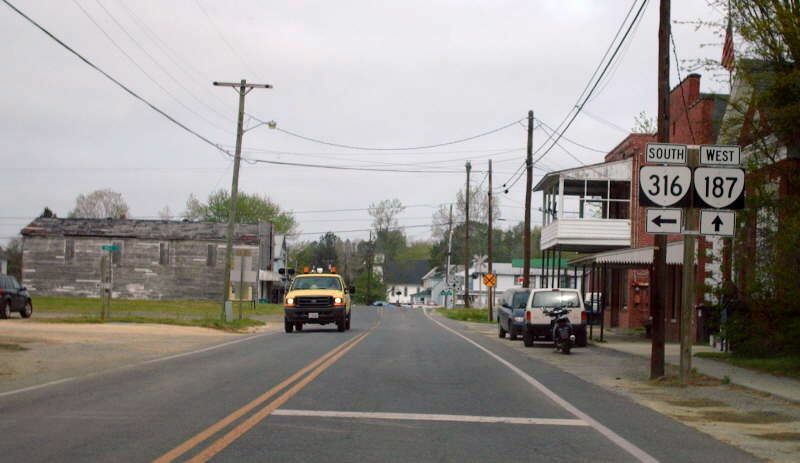 VA 187 west at VA 316 in Bloxom. Photo by Mapmikey, taken April 26, 2007. 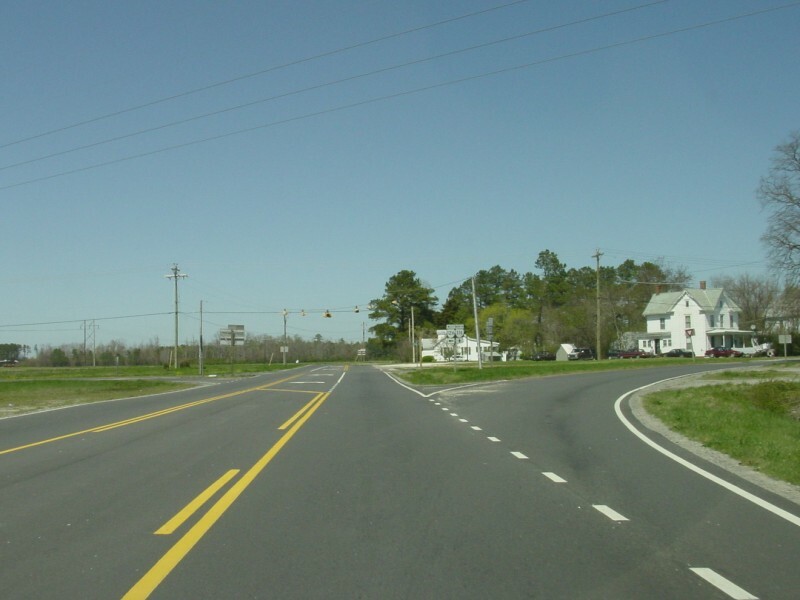 Approaching VA 316 from VA 187 east. Photo by Mapmikey, taken April 26, 2007. 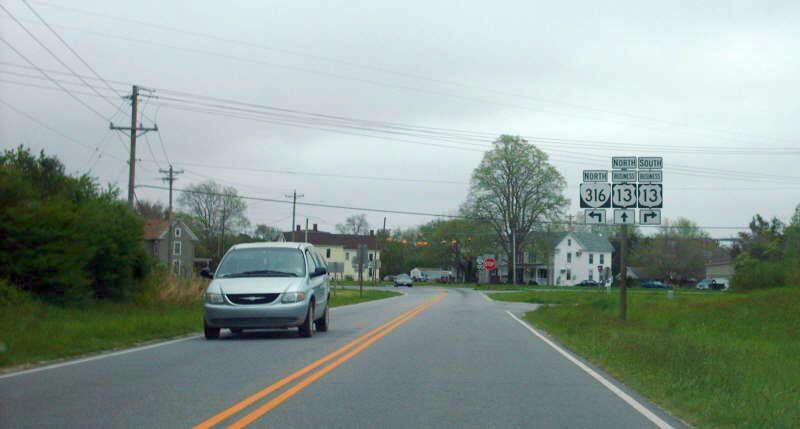 Beginning down VA 316 south. Photo by Mapmikey, taken April 26, 2007. 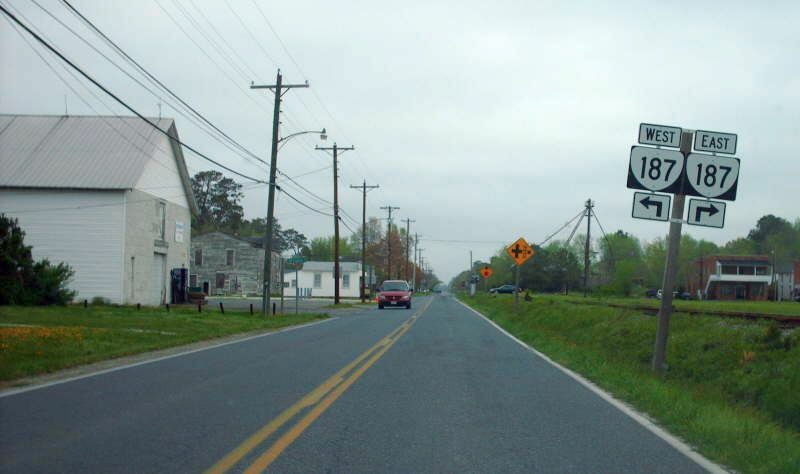 Approaching VA 187 on VA 316 north. Photo by Mapmikey, taken April 26, 2007.